It's been nearly a century since a pair of Russian scientists described using "tremendous mirrors of very thin sheets" to harness sunlight for spacecraft propulsion. Six decades later, Planetary Society co-founder Carl Sagan introduced the concept to the world during an appearance on The Tonight Show. But though the idea of solar sailing has been around for a long time, only one spacecraft—Japan's IKAROS, in 2010—has successfully demonstrated the concept. Solar sailing is straightforward in theory but complex in execution, requiring unwieldy reflective sheets to be autonomously deployed in the vacuum of space. As a result, more ambitious solar sail projects have given way to smaller technology demonstrations attempting to slowly advance the state of the art. The Planetary Society's LightSail 2 spacecraft is one such demonstration. As the mission gets closer to reality, it is increasingly finding itself among friends. 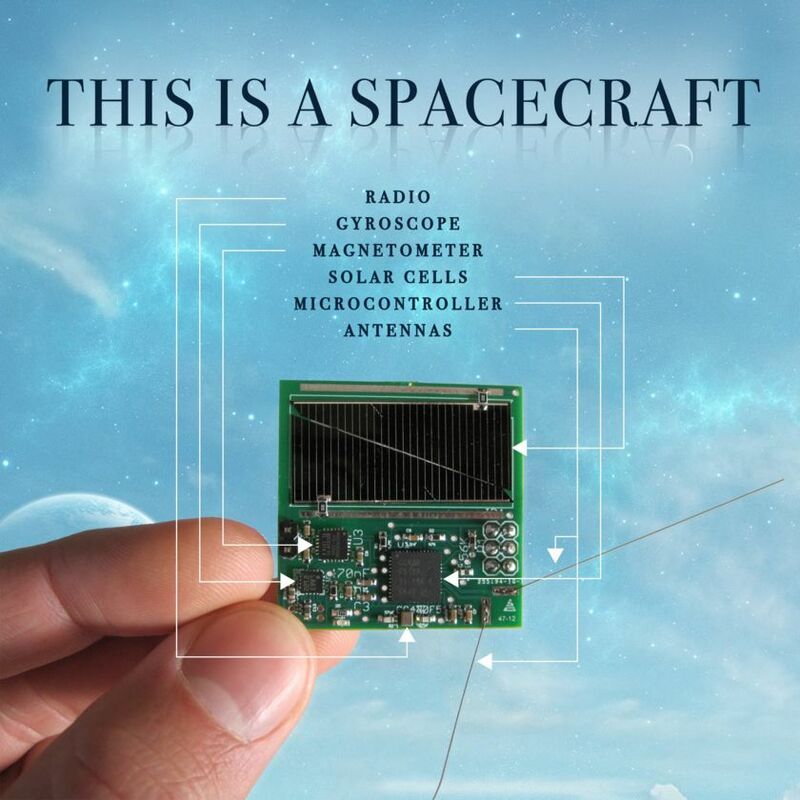 These include NASA's LightSail-like NEA Scout, the University of Illinois' CubeSail, and Breakthrough Initiatives' StarChips, which are being billed as the world's smallest spacecraft. Two related missions also made recent headlines: InflateSail, which demonstrates how to deorbit probes that could otherwise become space junk, as well as a Russian reflector called Mayak which, sadly, failed to deploy. All of this suggests the technology might finally be approaching a tipping point. "It's a good time for solar sailing," said Les Johnson, the solar sail principal investigator of NEA Scout, during a recent phone interview. I spoke with Johnson, as well as representatives from the CubeSail and StarChip projects, for an update on how each of these missions are contributing to the advancement of flight by light. Each has a Planetary Society connection, and Pete Worden, the executive director of Breakthrough Initiatives, said his own solar sailing interest can be traced back to a talk Planetary Society co-founder Lou Friedman gave at NASA's Ames Research Center when Worden was the center director. "That's really where I first got excited about it," Worden said. "The Planetary Society really made this a real concept. And I think that this is going to open up our solar system to really exciting, affordable missions, and I think in a few decades we'll be on our way to the stars." NASA's NEA Scout is a solar sail CubeSat roughly twice the size and sail area of LightSail. It is riding to lunar orbit on the first flight of the Space Launch System and Orion, currently scheduled for 2019. Near the Moon, NEA Scout will deploy a solar sail and spiral out to visit a nearby asteroid—most likely the 7-meter-wide 1991VG—which has an orbit similar to Earth's. Johnson said the recent delay of SLS has not affected the team's asteroid target selection. Unlike chemical propulsion systems, solar sailing provides constant thrust, allowing a spacecraft to reach a wider variety of orbits. "That's one of the beauties of a sail—you have a really wide launch window," he told me. "It just affects trip time." The small spacecraft is certified to operate for two-and-a-half years—still enough time to reach 1991VG assuming a 2019 launch—before its hardware will likely start to fail due to in-space radiation. The NEA Scout team plans to deploy a development sail next month, followed by a test of the actual flight sail in December or January. "And then, we will be packaging it up and it won't be unfurled again until it flies, probably," Johnson said. Because of budget constraints, the team needs to complete major work on the spacecraft in early 2018. After that, NEA Scout will be put in storage, where it will stay until shipment, at which point it will receive a final checkup and battery charge. The team does not know how long the spacecraft will be in storage, either before or after shipment, because of uncertainties surrounding the actual SLS launch date. Johnson is working with the LightSail team to review whether or not long-term storage might cause the sails to stick together. LightSail 1 sat in storage for approximately two years before a successful day-in-the-life test in 2014, and LightSail 2 faced similar uncertainties before a sail deployment in 2016. Fortunately, in both cases sail sticking was minimal, and the LightSail 1 in-space deployment was a success. The heliogyro solar sail had 12 spinning blades that were each four miles long. Here, the spacecraft approaches Halley’s Comet. Another solar sail flying soon is CubeSail, which was born out of a collaboration between NASA, the University of Illinois Urbana-Champaign (UIUC) and CU Aerospace, the latter of which is a UIUC technology spinoff group. Victoria Coverstone, CubeSail's co-principal investigator and the current chair of the University of Miami's mechanical and aerospace engineering department, told me the project was actually inspired by NASA's original heliogyro solar sail. 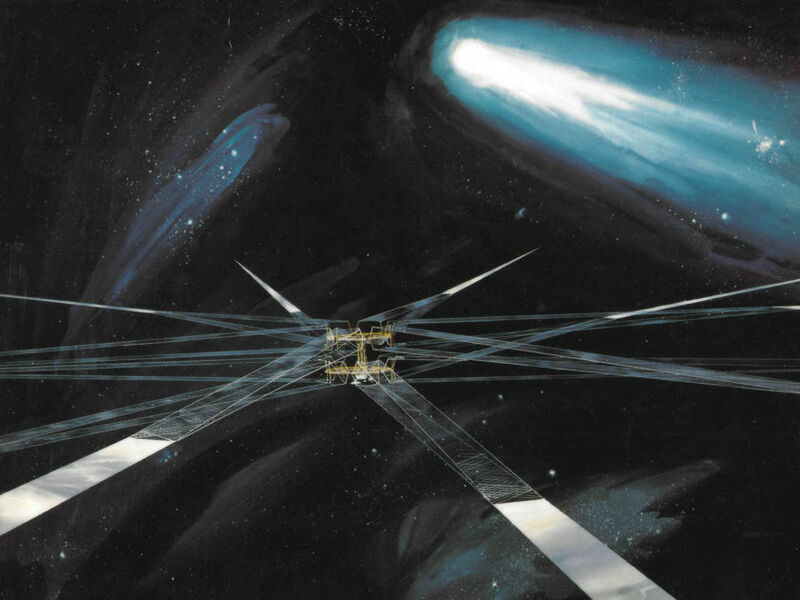 That project, which was championed by Planetary Society co-founder Lou Friedman, which would have sent a huge, spinning, ceiling fan-like sail to Halley's comet in the early 1980s. The angle of the original heliogryro's long sail blades would have been controlled at the hub, which Coverstone said was limiting because twisting the blade on one end did not necessarily translate to the entire blade. Her team had an idea: What if a small satellite was placed at the end of blade, to assist with control? The concept became UltraSail, a NASA-funded study from 2003 to 2006 to draft up a conceptual spacecraft approaching the scale of the heliogryo. "The (UltraSail) sail area was a hundred thousand meters squared—just huge," Coverstone told me. The team concluded the design's only limitation was the size of a rocket's nose cone, which would limit the length of the rolled-up sail blades. NASA was intrigued, but wasn't ready to fund a full-scale vehicle. Instead, they encouraged the team to come up with an intermediate step. Thus came CubeSail: essentially a single, scaled-down heliogyro blade with a CubeSat on each end. CubeSail will answer an important question: Can you unroll a long, thin sail between two spacecraft, and then control it? "It is a little different than what you think of for a sail," said Les Johnson, who is following the project. "But it really shouldn't be, because all that matters for a sail is total area." CubeSail is meant to pave the way for I-Sail, and eventually, UltraSail. Bundled together, CubeSail is a 3-unit CubeSat the same size as LightSail. It will pop apart into two, identical, independent 1.5-unit CubeSats. Inside each cube is half of a 250-meter-long roll of aluminized Mylar, with a total area of 20 square meters. In space, CubeSail will point its long axis toward Earth and pop apart using springs. Motors unwind the rolls of sail from each spacecraft, and the cube closest to the ground will fall away slightly faster because it is closer to the tug of Earth's gravity. The deployment will take several hours, and Coverstone said the gravity difference will stabilize the lower cube and keep the sail taut. CubeSail will hitch a ride to space via Electron, a new rocket built by Rocket Lab that launches from New Zealand. The flight, which is sponsored by NASA's ELaNa program, was supposed to occur this November, but was delayed until the first quarter of 2018 after the inaugural Electron launch in May didn't reach orbit due to a telemetry glitch. Like LightSail 1, CubeSail will not fly high enough for the push from sunlight to overcome atmospheric drag. The mission's main goal is to test the deployment system and stabilize the spacecraft—ideally so that the thin edge of the sail is facing forward, allowing it to slice through the upper reaches of Earth's atmosphere more efficiently. "If we fly with the total area (of the sail) in the velocity direction, our lifetime is like a day," Coverstone said, laughing. "It's not very exciting." If CubeSail can fly perfectly edge-on, however, the mission could last six months. "It's going to be up there hopefully closer to six months," she said. Coverstone's team was just awarded a NASA small business technology grant to begin development on I-Sail (the I stands for Illini, as in the University of Illinois), which would take the CubeSail concept even further. I-Sail is early in development, so the exact spacecraft architecture is still being determined. It might spin and have multiple blades, with a spacecraft at the end of each blade that communicates directly with a central hub (the two CubeSail cubes do not intercommunicate; they only talk to the ground). The blades would have a much larger area than CubeSail. Les Johnson, who is serving as the NASA manager for the project, said he has given the team a "challenge goal" of 1,000 square meters. If the team can show I-Sail is a feasible concept, Johnson said, they can apply for a second round of funding, which could carry them far enough to complete a full engineering prototype. Another key solar sail project—technically, a laser sail project—is the StarChip, which is being tested by Breakthrough Initiatives, a group funded by the billionaire physicist-entrepreneur Yuri Milner to search for signs of life beyond Earth. Last year, Breakthrough announced a plan to send a fleet of small solar sails to Alpha Centauri. An Earth-bound laser array would zap the sails in Earth orbit, accelerating them to 20 percent the speed of light. They would reach the Alpha Centauri system in roughly 20 years. One of the first steps of that plan is figuring out how compress an entire spacecraft—including a camera, radio, antenna, computer and attitude control system—onto a gram-scale chip that fits in the palm of a human hand. That's where the StarChip comes in. The story of StarChip begins with KickSat, a Kickstarter project launched by Cornell University's Zac Manchester in 2011. KickSat was a small spacecraft designed to deploy a fleet of postage stamp-sized spacecraft, dubbed Sprites, into low-Earth orbit. The Sprite-carrying SmallSat launched successfully aboard a SpaceX Falcon 9 rocket in 2014, but an ill-timed satellite reboot delayed the Sprite deployment, and KickSat tumbled back into Earth's atmosphere without completing its mission. The Sprites lived on, in the form of a follow-on mission named KickSat-2. They also caught the attention of Breakthrough Initiatives, and were key to giving the group confidence that manufacturing tiny spacecraft was feasible. 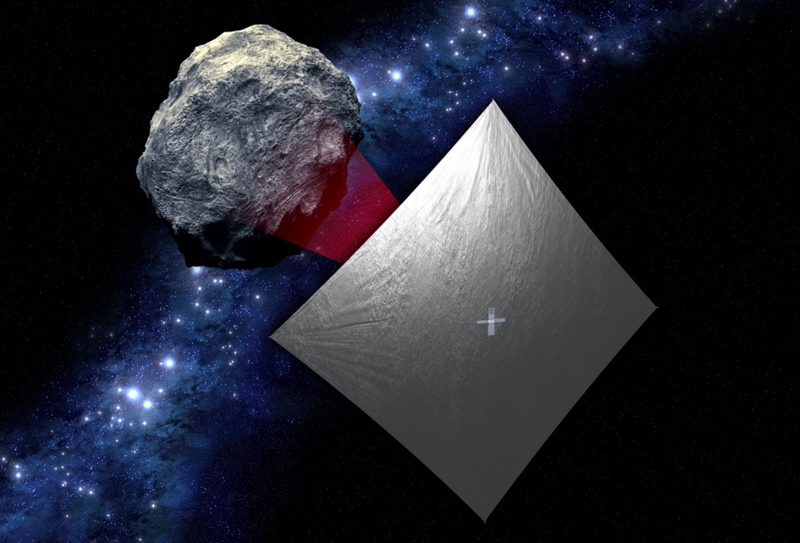 Pete Worden, Breakthrough's executive director, said that after the Alpha Centauri plan, dubbed StarShot, was announced in 2016, Breakthrough was contacted by Marco Fuchs, the CEO of a European space firm named OHB System AG. "(Fuchs) was very excited about the idea," Worden said. "He said, 'Look, we have a couple SmallSats. It depends on what the (Principal Investigators) say, but maybe we can put some of these chips on board.'" India's PSLV-C38 rocket lifts off on June 23, 2017 carrying six StarChips from Breakthrough Initiatives. 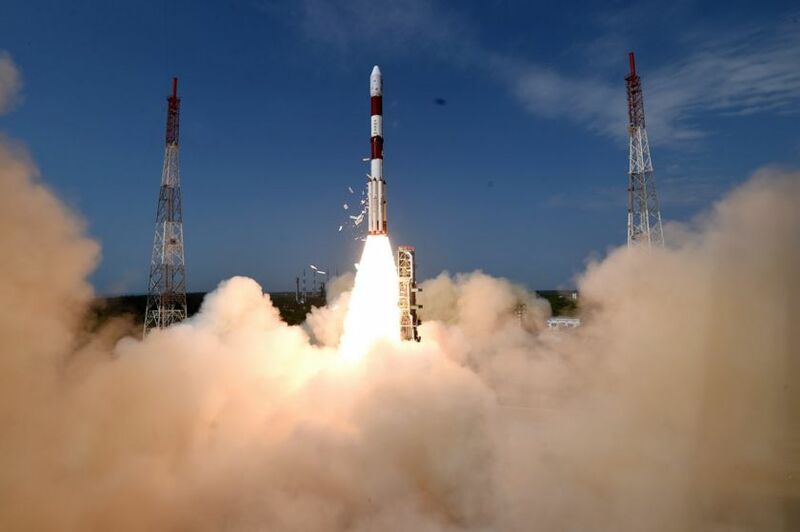 The plan came to fruition on June 23, when an Indian rocket carrying a mapping satellite blasted into orbit. Two small satellites named Max Valier and Venta—the latter of which is Latvia's first satellite, Worden said—rode along as secondary payloads. Both were built by OHB System AG and carried one attached StarChip each. Max Valier is also carrying four deployable StarChips. At the moment, Worden said it appears only Venta has powered on and is transmitting. Max Valier and its StarChips have not turned on as planned. Fortunately, the Venta StarChip signal has been picked up by ground stations in the Netherlands and New York, along with radio enthusiasts around the world. The chip's two antennas are hardly bigger than stands of hair, transmitting at the "fractions of a watt," Worden said. Telemetry shows the StarChip, which measures just 3.5 centimeters per side, is healthy, and Breakthrough has declared it the smallest spacecraft ever flown. "Everything is working perfectly," said Worden. "The spacecraft is charging and transmitting as planned." The successful StarChip demonstration is an important step towards making miniaturized spacecraft—and thus, Breakthrough Starshot—a reality. "It's really the first demonstration that (spacecraft) of gram-class really can do the stuff that big spacecraft can—at least the stuff that we're interested in," he said. Among the many challenges facing the Breakthrough project is the question of how to integrate a StarChip onto a solar sail so it can be zapped towards the stars. Worden said the best geometry for the sail now appears to be a sphere, likely just a few meters wide. The StarChip could either be fixed in the center, embedded on the outside, or deconstructed further—with components located in several spots. Why a sphere? According to a recent paper by Zac Manchester, the StarChip creator, and Abraham Loeb, models show a sphere combined with a donut-shaped laser beam, offers the most stability. The laser hitting the sail will be orders of magnitude stronger than the push from the Sun's rays, and a sphere offers the best way to keep the beam applied evenly. "It's sort of like if I had a beach ball, and I'm just pushing it with something flat, it's going to roll around, or even worse, if (the laser) is kind of a round shape (the beach ball) will roll off," Worden said. "So what we want to do is have a kind of dimple in the power profile, so it's stable against any perturbations." How the sphere would remain rigid, and whether or not it would be pressurized, has yet to be decided, he said. For solar sailing advocates, the progress of LightSail 2, NEA Scout, CubeSail and the StarChips, as well as related projects like InflateSail and Mayak, show the quest for flight by light might indeed be reaching critical mass. There is also evidence of increasing interest beyond the field of usual players. 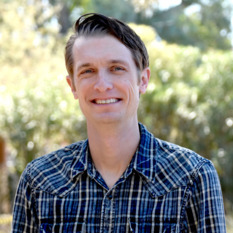 When Worden gives academic talks for Breakthrough, he said people often approach him afterwards to say they're already working on some of the technologies he mentioned. This makes him hopeful that the idea of reaching the stars, while challenging, is possible. "I think it's going to be easier than maybe we thought two years ago," he said. Then, after a pause, he clarified, "I don't want to use the word easier. Let's say it's more feasible. None of this is easy."